Home Politics Chavismo What do you call a problem like Maduro? What do you call a problem like Maduro? 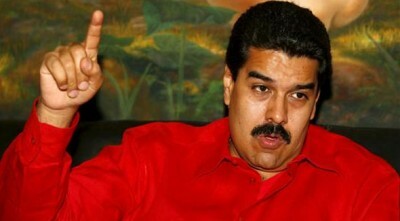 January 10th creates a conundrum for us at Caracas Chronicles. On the one hand, we share most of your indignation. Maduro’s term ends today, but the TSJ has ruled he can remain on board as Vice-President, in effect creating its own succession rules and making a mockery of the Constitution. These people don’t care about the Constitution, and that was true before, it’s true today, and it will be true in the future. In her own, perversely twisted way, Luisa Estela Morales is right – there is continuity. But the whole situation is so ridiculous, so over-the-top, it really strains us to take it too seriously. As Ramón Muchacho so eloquently put it, in the end of the day, they were in charge before, and they remain in charge now. Yes, principles matter, but the principle that Diosdado Cabello really should be President right now … well, that one doesn’t matter that much to us. Back to the ridiculousness – we can’t really call Maduro the Vice-President anymore, and we certainly can’t call him President. But … dictator? De-Facto President? Sounds too shrill for CC. The name has to be attuned to the joke that his “government” has become. We’re looking for ideas here folks.